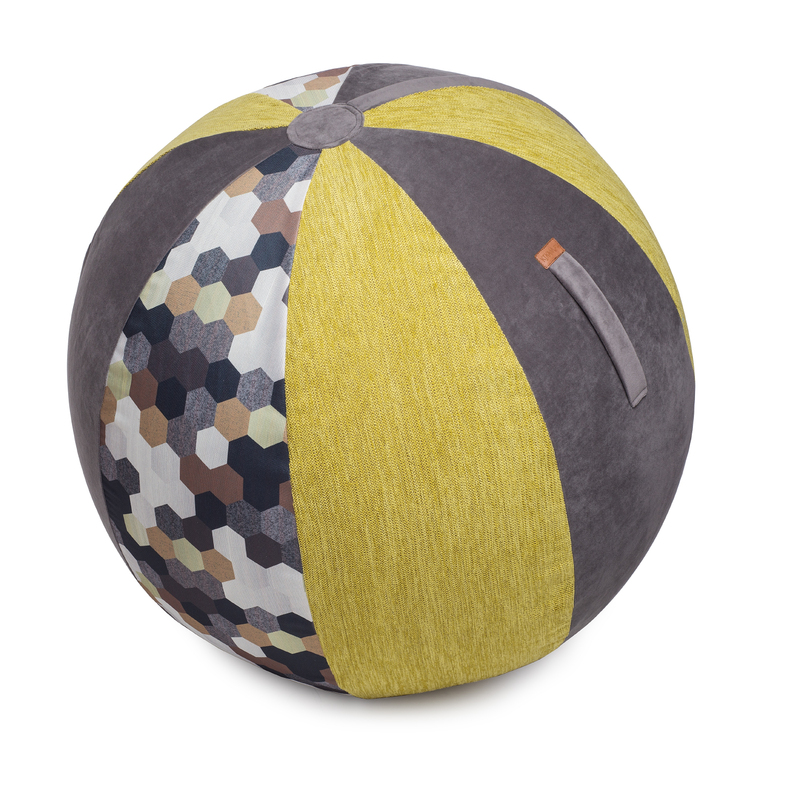 How does sitting on a ball help kids who are hyper-active? There have been plenty of exercise routines available for a while for fitness balls that train specific muscle-groups, improve physical condition and help with losing excess weight. Sitting-balls are a great way to strengthen the muscles of the torso and improve posture. Therapists are now recommending them to teachers for the classroom, in particular for kids with special educational needs. In 2003, a study was published which claimed that students with ADHD who sat on fitness balls during their therapy sessions improved their behavior. They were able to sit in one place for a longer period of time and they could even concentrate. Further studies only confirmed these findings. The possibility of active-sitting on a fitness ball allows students to become more focused, and they can use up their excess energy. For kids with ADHD, movement enables concentration. Sitting on a fitness ball at school is therefore really helpful. While the child tries to find balance on the fitness-ball, the body naturally and constantly is activating fundamental muscle groups. Constant movement is required, allowing children to keep their undivided attention. Parents that use sitting-balls at home for their kids notice that when children use them, they are less distracted and able to focus better, whether it is while doing their homework or at the dinnertable. Parents that use sitting-balls at home for their kids notice that when children use them, they are less distracted and able to focus better, whether it is while doing their homework or at the dinnertable. Sitting-balls are great for use at home and at school, they help your children concentrate on their work and reach their full potential.